Mr. Tanaka (he likes to be called Shu chan), is the sixth generation farmer/community gardener/inn owner/chef at Izumi En. 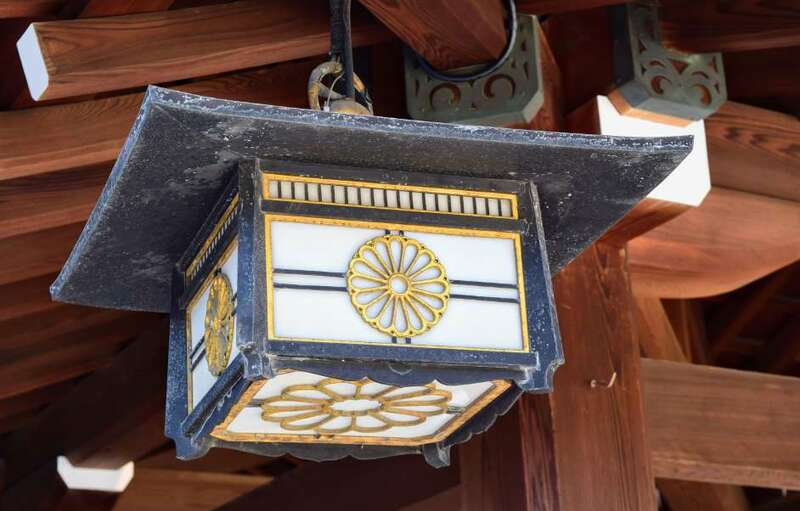 His house and the inn sits on top of the hills in beautiful mountainous town of Kobuchizawa in Yamanashi prefecture. One can walk through a picturesque Japanese garden in the back of one hundred year old house and find a community garden. Busy professionals from Tokyo rent plots of land in the garden as way to get out into nature and relax. His farm-to-table breakfast is to die for! 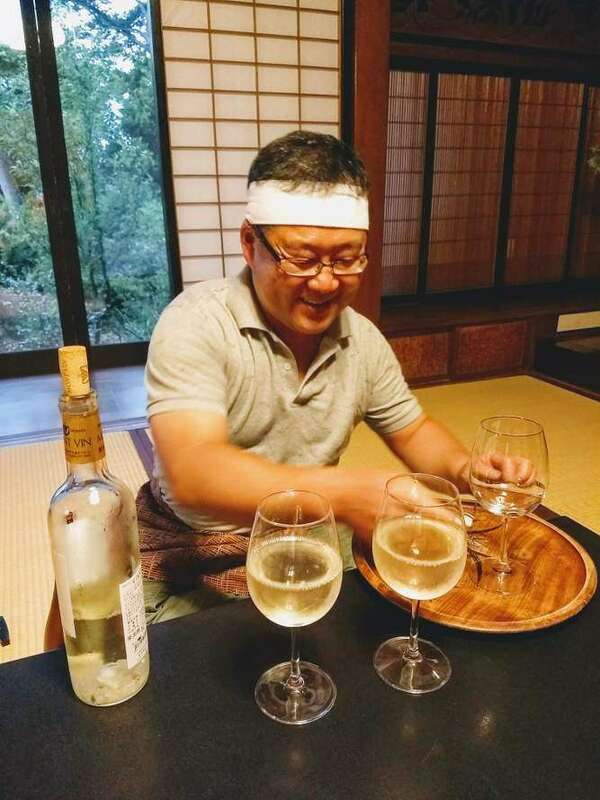 Pouring local white wine from the Shikishima Winery. 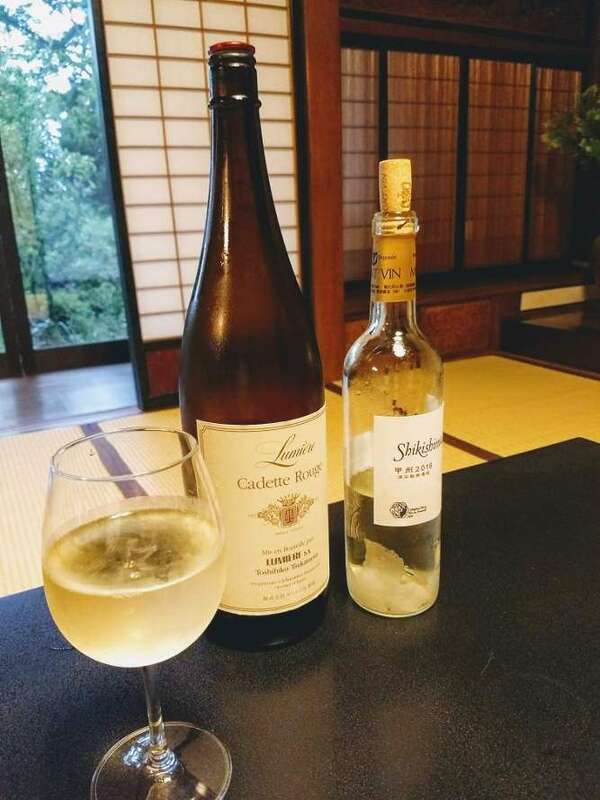 Shikishima Winery is known for making wine with tartaric acid-free filtration. When I was younger, I wanted to work in finance, especially trading stock. However, my family was scammed (financially but he did not explain further), I agreed to help them maintain the family business. About 18 years ago, my parents sold their business and invested in this house (owned by my uncle who died suddenly), we made many upgrades so it could operate as inn and serve customers. 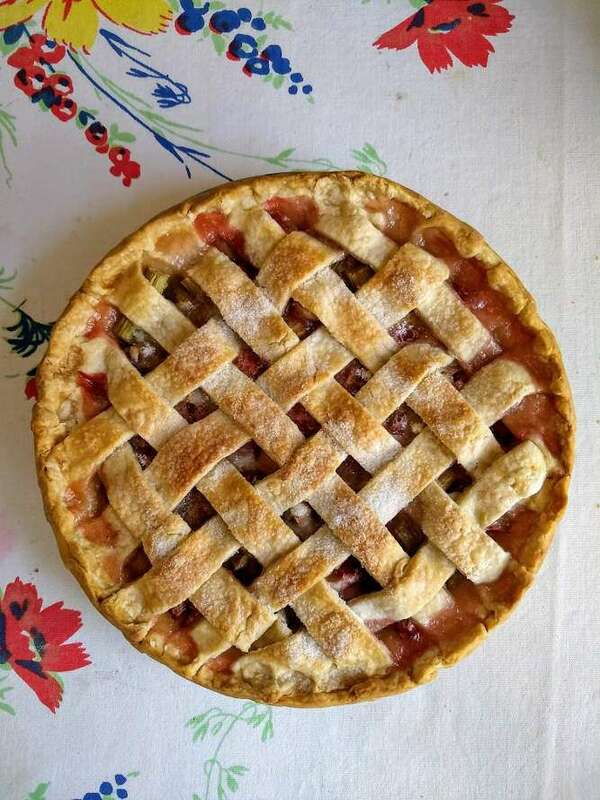 Typically, the house and the farm is run by the eldest male member of the family. In my case, my uncle who was the oldest, but he died suddenly. My mother inherited the family business and I decided to help out. My sister, parents and myself operate the business together. What is important to you when running your own business? To enjoy work and life. What is the hardest thing doing what you do. Happiest moment? My philosophy is that if one thinks something is hard, then it becomes hard and difficult. Therefore I keep positive attitude towards work. I consider my work “stress-free”. 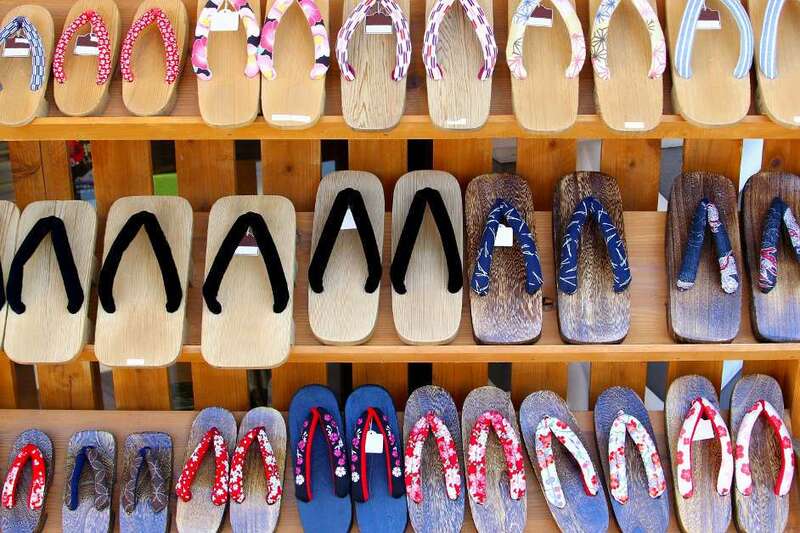 What part of Japan or Japanese culture would you most like to share with a travelers or guests from another country. I want people from the other country to understand that Japanese way of thinking is based on the old culture of “hyori ittai or ura omote” in another words two-faced. Many of our culture and values are build on our history and the way we think. 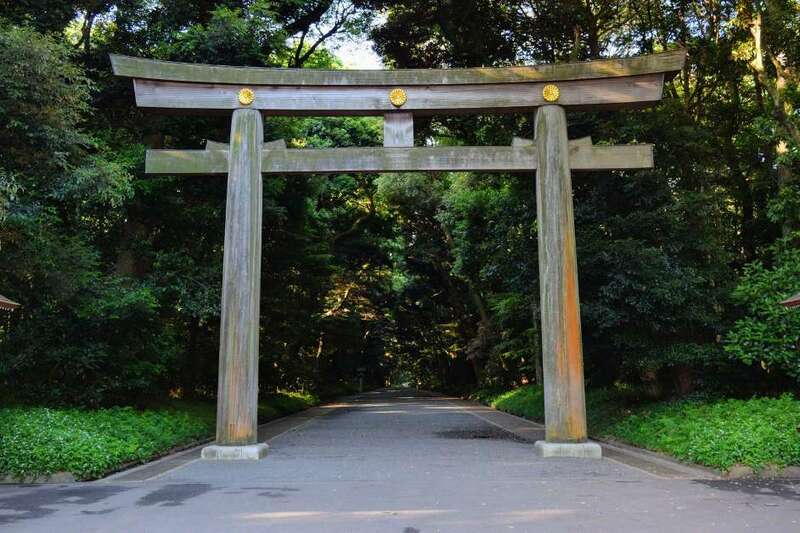 Things in Japan are often not able to explain in terms of “black or white”. Some cultural norm here has deep roots and history and might not be accepted by foreigners, but I want people to understand this is who we are. I lover raw liver, especially beef liver. It is ashamed that the government/health department banned raw consumption of liver after recent e-coli outbreak. This interviewed took place after me, fellow travelers and Mr. Tanaka over some wine from Yamanashi (did you know Japan has great wine!). Mr. Tanaka has a great sense of humor is also extremely knowledgeable about history, politics and pretty much everything else he cares about. He loves to ski, go on horse back riding and speaks some English. Thank you Mr. Tanaka for opening up to us and sharing a good time with us. The Nagano region of Japan is famous for its soba noodles. 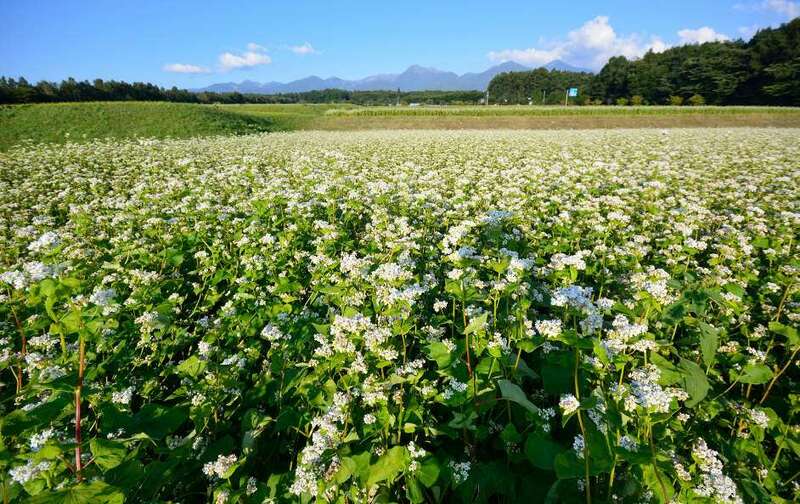 The area’s soil has all the necessary nutrients to produce high quality soba noodles or Shinshu Soba. 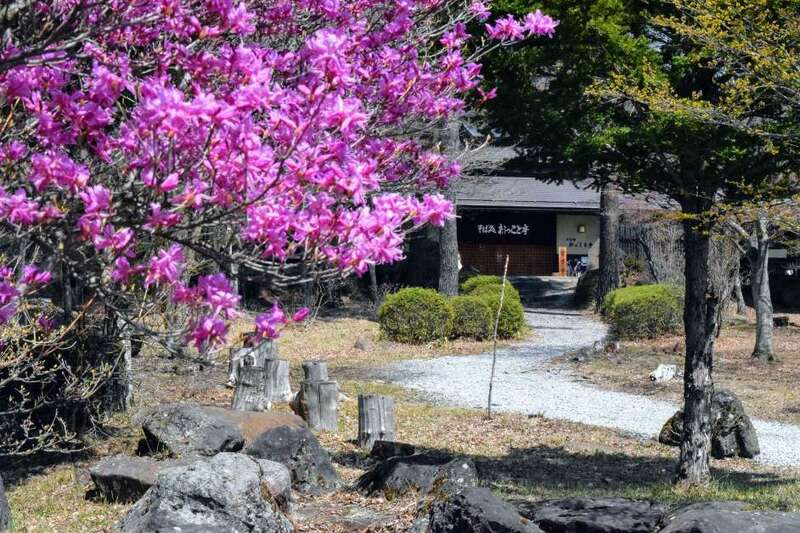 During our culinary tour of Japan, we make a stop at a quaint, soba dojo (school) in the high elevations of Yamanashi. Here we learn the art and craft of handmade soba noodles. While that might sound intimidating, the class is one of the most loved activities of the tour. If you go, you’ll discover, it’s not has hard as it seems. Like boulbase and bbq and other great foods, soba noodles were born in the kitchens of the working class. Under the feudal systems in Japan, farmers grew both rice and soba crops. Much of the rice crop was used to pay taxes, and the soba crop kept for themselves. 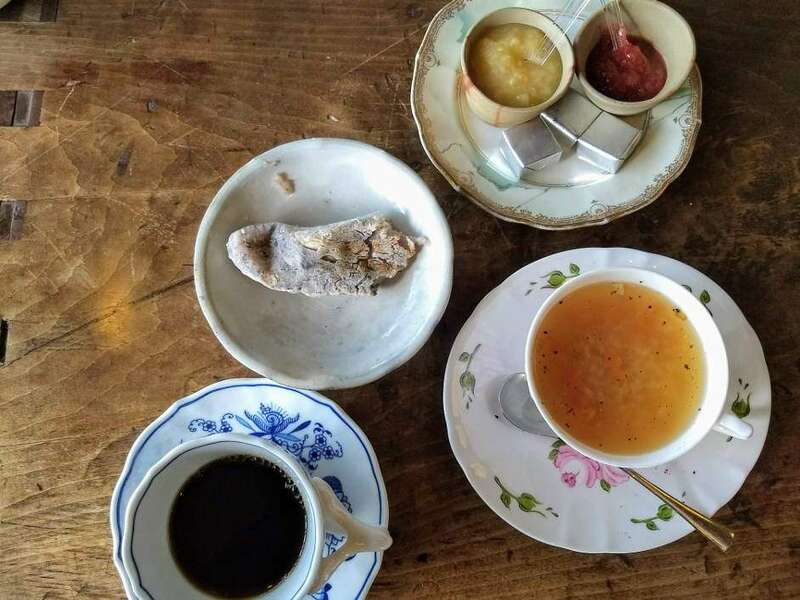 Like its counterpart Udon, ground buckwheat was simply mixed with water and made into dough then cooked in hot pots, grilled or simply eaten as a porridge. During the Edo period, 1603 and 1868, of Japan, knives became widely available, and people began making noodles from the dough. The basic recipe for soba noodles is simply buckwheat flour and water, but that can be difficult to work with. Often the buckwheat flour is mixed with other ingredients to change the flavor, texture and to make the noodles less brittle. 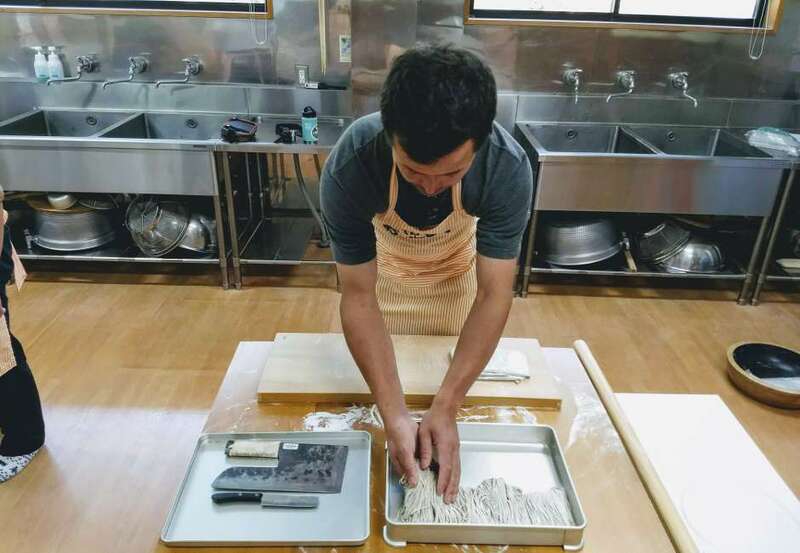 At the Soba Dojo, you’ll see your instructor add in a little white flour to make the noodles a little easier to work with. Often mountain potato is added to enhance the flavor and texture of the noodle. This was the style we used at our restaurant for many years. Overall, aroma, texture and taste is what makes a good soba noodle. 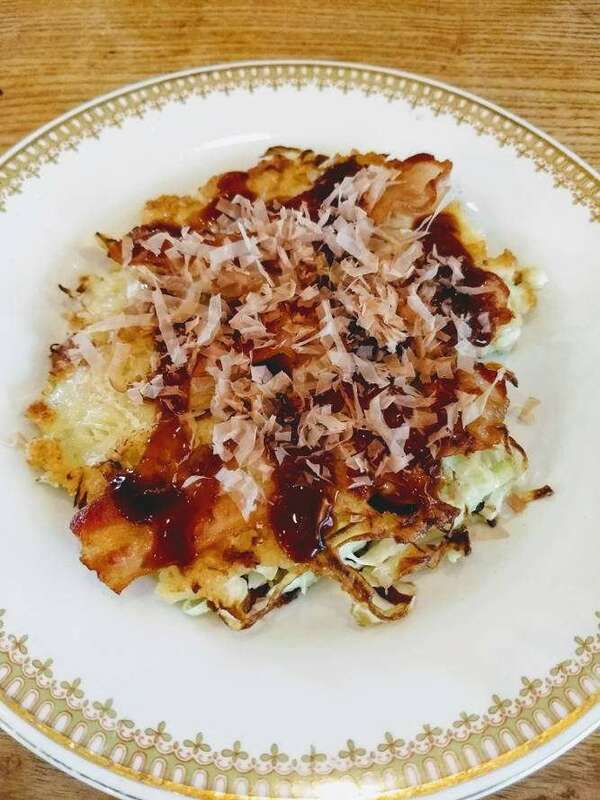 Join TanpopoStudio’s Culinary Tour of Japan and Learn to Make Soba! One of the best things about visiting Japan is a chance to try many different kinds of sake with your friends. You’ll find the sake to be very fresh, vibrant and the perfect companion to whatever you maybe eating. In Japan, sake is referred to as ninhonshu as the word sake is a general term for alcohol. So if you’d like to order sake with your meal, it’s easier to just ask for nihonshu. 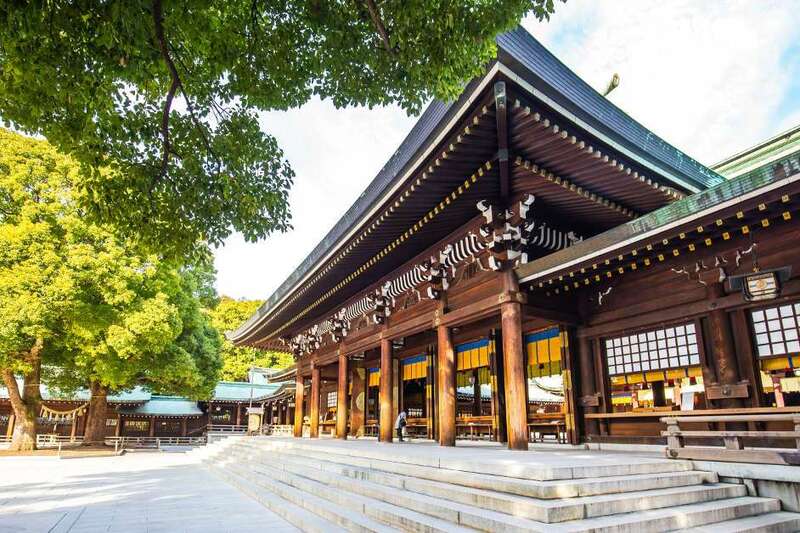 Understanding sake can bit a bit confusing at first glance, but with a little knowledge you’ll find yourself understanding the different grades and gaining richer appreciation of the suitableness and complexity sake. Sake is an alcoholic beverage brewed from rice. The term brewed is notable since it is beverage, similar to beer, that is made from a fermentable grain, rice in this case, water and yeast. The modern sake that you enjoy at your favorite restaurants has been in production for about 1000 years. Most available sakes will have an ABV ( alcohol-by-volume ) ranging from 12 to 18%. However, the vast majority are around 15-16%, making sake very similar to a heavier red wine in alcohol content. Unlike wine, the fermentation process allows sake to reach a higher natural ABV of around 20 percent. At this level, the alcohol can be overpowering, making it difficult to notice the complex the flavors and aroma, so it is normally diluted with water to a level of 15-16 percent. Sake is a wonderful beverage to enjoy with all kinds of food, but it pairs especially well with Japanese food. While the types and grades can be a source of confusion at first, no knowledge is necessary to enjoy sake and explore its flavors. All alcoholic drinks that we humans enjoy have very simple origins. Yeast is added to some type sweet liquid and the process of fermentation will convert the sugars into alcohol and carbon dioxide. The production of sake is similar to beer in that the starches present in the grains are converted to sugars. 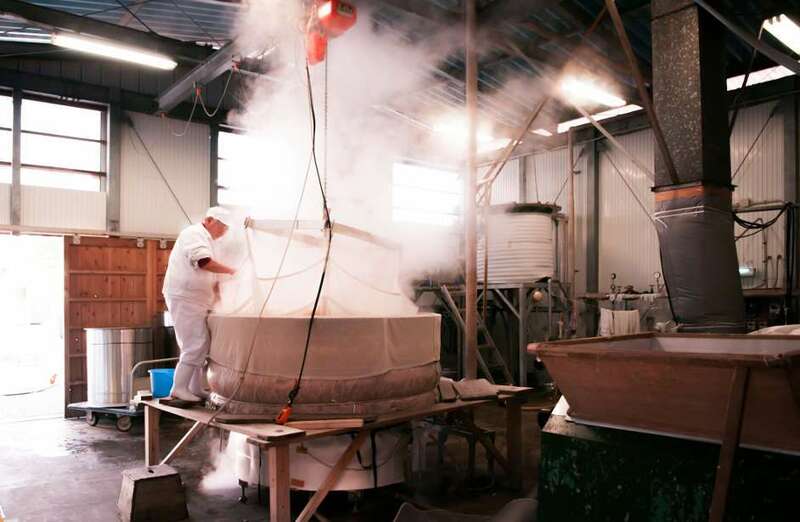 However, the process of making sake is much longer and involves many more steps than beer. Because of the simplicity and purity of sake, water is very important. A pure supply of water with the right amounts of minerals will yield the highest quality sake. Nowadays, brewers have a better understanding of how minerals in the water affect the flavor of sake. Generally speaking, mineral rich waters will produce sake that is full bodied and strongly flavored, while ‘softer’ waters will produce sake that is clean and bright, but with a subtle finish. Just like the grapes for wine, the type of rice used in sake making will leave its mark. The rice used in sake making has is not the rice you eat, but a special kind of rice that is larger and contains more starches. It also needs to easily absorb water. Different types of rice do change the flavor of sake but it is not as pronounced as it is in the wine world. Consequently, sake is not categorized or labeled base upon the underlying rice variety. The yeast used will have a big influence aroma and taste. Up until modern times, sake brewers relied of the natural yeast present in the air for brewing. The Brewing Society of Japan distributes and maintains the collection of yeasts for sake. There are more than 18 different strains of yeast used in sake production, and new yeasts strains are always being developed. Koji or aspergillus oryzae is the mysterious ingredient used in sake making. It’s presence in the brewing process has a outsized influence on the final flavor and aroma of the sake. A portion of rice is inoculated with spores of aspergillus oryzae in a heated room over a period of time. The result is a sweet, aromatic rice kernel that will be added at various stages of the brewing process. 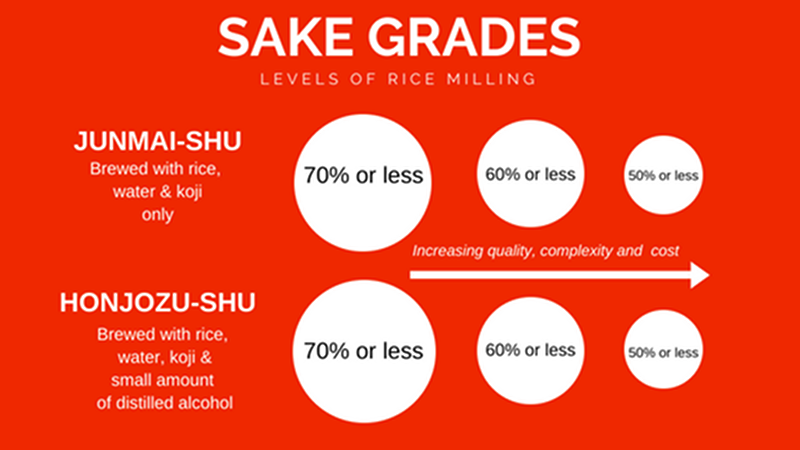 The above graphic describes how sake grades are classified by how much of the outer portion of the rice kernal has been removed. The outer portion of the rice contains fats and proteins that will cause undesirable flavors in the final product. So the outer layer of the rice is milled away before brewing. Generally, speaking the more rice that is milled away will result in a more expensive, more complex sake. However, each category of sake has its own unique style and varying levels of quality within those styles. Junmai sakes is pure rice, water, yeast and koji and Non-Jumai sake has an addition of brewer’s alcohol, usually during pressing. This addition is sometimes used to extract volatile flavor compounds from the rice and improve the taste. However, the addition of alcohol is also used to cheapen the cost of mass produced sake. Tokubetsu means special and it is added to the label of to indicate the extra effort and cost require to brew the sake. An example of tokubetsu might be milling the rice to ginjo levels but keeping within the style of a junmai. 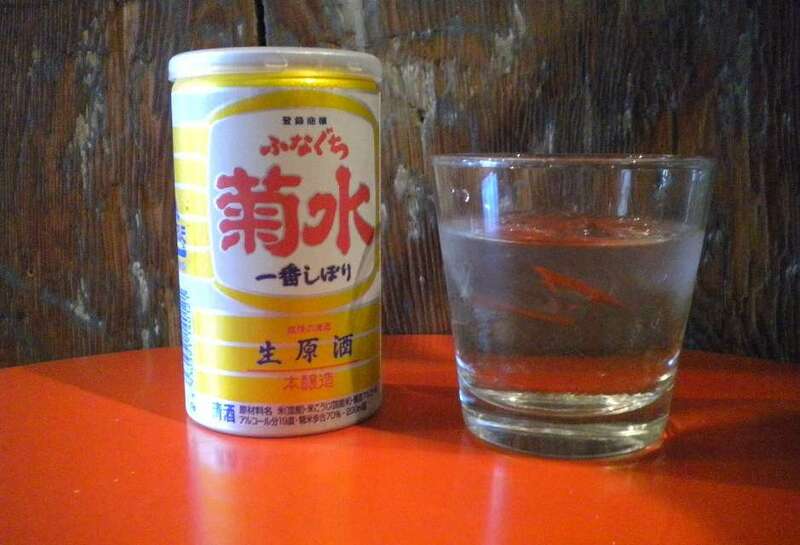 Even though the sake could legally be graded as a ginjo, the brewer will label the sake a Tokubetsu Junmai. Yamahai and Kimoto are older traditional methods for raising the ph level in the starter batch by the cultivation of lactic acid. The result is a more refined fermentation process. The two methods are similar but the Kimoto method requires more tedious mixing with poles. These processes will take longer to make the sake but result in a richer flavor with more umami. Nigori sake is unfiltered sake that contains some of the rice present from the brewing process and is creamy and cloudy. Nigori’s are fuller bodied, sweeter and make a fine starter or dessert sake. We usually don’t see high end nigrori’s, because the presence of the rice tends to over power the subtler flavor profiles found in premium sake.